Urban Planning is a solo exhibition by multimedia artist Lauren Smith incorporating painting, drawing, installation and sculpture. 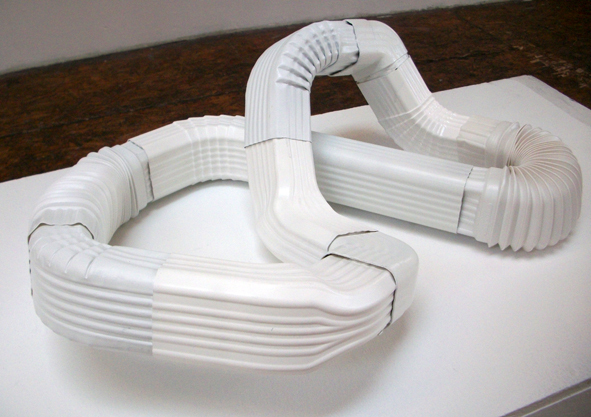 The show conceptually explores the imagery and function of gutters and their downspout counterparts within a gallery setting. The exhibition offers a dueling dialogue between the natural and urban landscapes. In most cases there is an intentional reference to water and its destructive capabilities. However, the extreme calm and order seen in the works communicates a certain level of control over or complacency towards the threats of water. Admission is free. Alcoholic beverages available by donation.